Our first flavour, one for the salmon skin lovers! 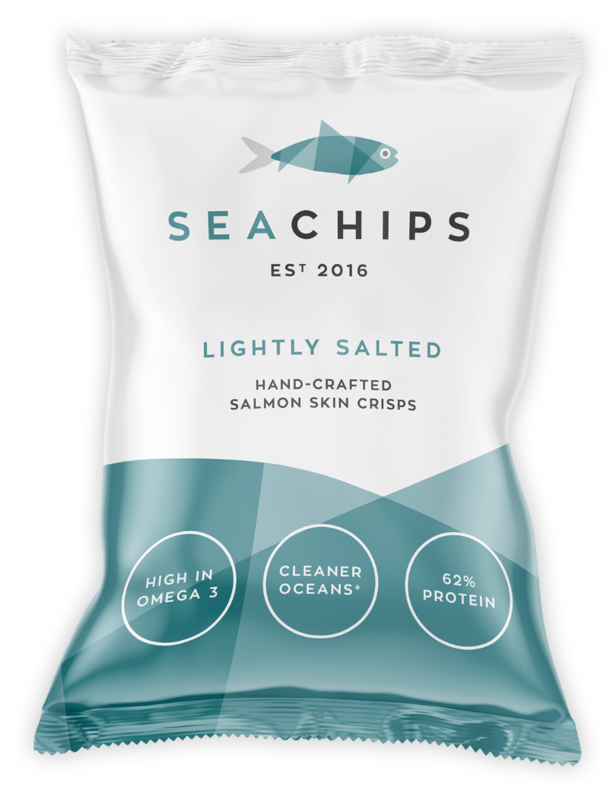 Simply seasoned to enchance the flavour, if you love crispy fish skin on it's own then this is the one for you! Our final flavour of our first range, envisage eating fish and chips beside the sea, with lashings of malt vinegar that wafts through your senses with a sprinkle of Cornish sea salt. Dan's favourite. Introducing the sharp, citrusy savoury salmon skin crisp with a kick of our specially blended chilli mix - Don't worry though, it's not too spicy! Dom's favourite.